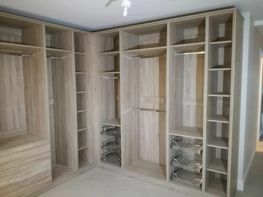 Since 1998, Ornan Kitchens and Wardrobes has been designing, manufacturing and installing bespoke kitchens and wardrobe solutions. Our sterling reputation is based on 20 years of consistently delivering the best in Irish craftsmanship, design and customer service. 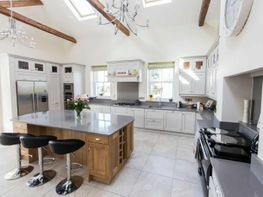 For bespoke fitted kitchens, delivered and fitted in 4 to 6 weeks, get in contact with our customer service team today. Our traditional country kitchens blend the earthy textures of wood with the latest in modern kitchen design and innovation. 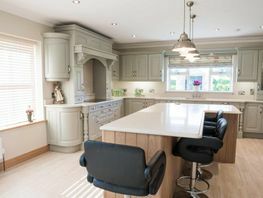 Painted Kitchens are made from high-quality solid wood and MDF that is finished with paint to leave an elegant and fully-customisable finish. 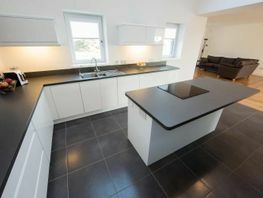 Hi-Gloss finished kitchens provide the very best in contemporary kitchen design. Our Hi-Gloss kitchens combine lines with elegant, minimalist colour schemes. Bringing a hint of the utilitarian design of industrial plants to the kitchen. 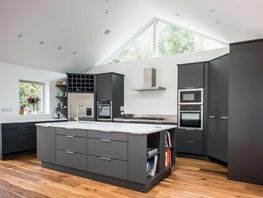 Our modern industrial style kitchens blend simplified elegance with practicality. 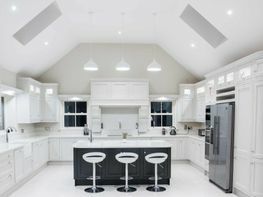 Hand-crafted in-frame kitchens are an elegant amalgamation of styles and eras. 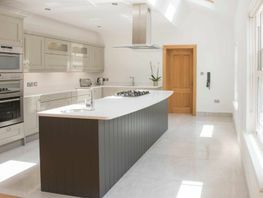 Forgoing the smooth finishes of gloss, hand painted kitchens embrace and celebrate the diverse, natural pattern of timber. 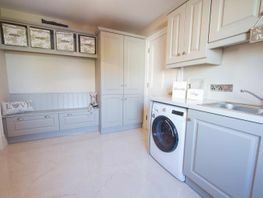 Home utility rooms can be a practical addition to any home, we create beautiful inviting spaces that blend into the kitchens pre-existing décor. Mud rooms are increasingly popular entrance solution that gives individuals that extra space to remove coats or footwear before entering a kitchen or hallway. Walk-in pantries offer unparalleled convenience to the home chef. They also provide an elegant and practical storage solution for a household. We provide clients with fully customisable fitted wardrobes that can be seamlessly blended to complement the property’s existing décor. 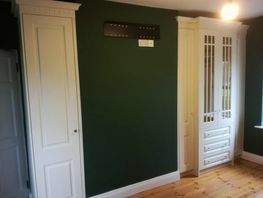 Walk-in wardrobes offer clients the ultimate in bedroom storage. 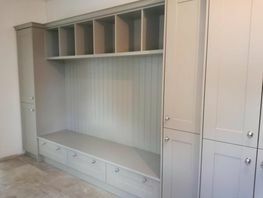 By removing the need for bulky storage furniture, walk-in wardrobes offer a myriad of decorating options. 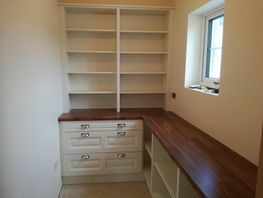 To customise your own kitchen refurbishment or bedroom wardrobe, get in contact with Ornan Kitchens and Wardrobes today.